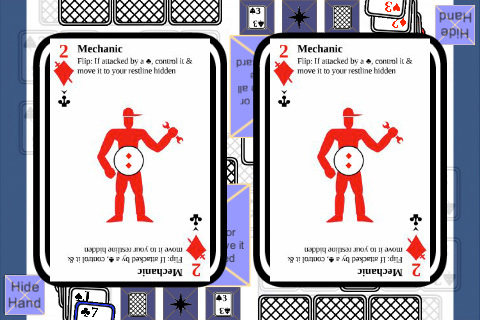 Fixed a bug where playing the last card in your hand caused an error where the game didn’t know what card in the hand to highlight. Also fixed a bug where battle would not happen if the defending card did not have a flip ability. The screenshot shows what happens during battle. Both cards get shown in full. It currently just shows the same card all the time. This will be fixed later.